This is one of the series of free bridge online lessons teaching how to solve problems of various difficulty level. This lesson is a fragment from the book ” Virtual European Championships part 1″. Motive – Block the suit that has been led against you. he would have led the jack (or ten, depending on the lead convention) instead. Taking the first trick with the ace is effective in all three cases. 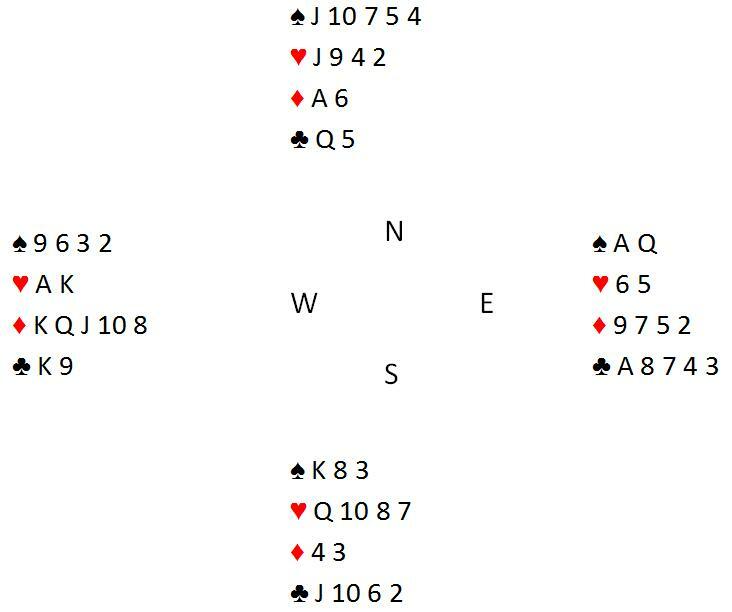 Playing the queen will fail against case (a) when the ace of diamonds is with spades. So, winning the first trick with the ace is correct although in the long run the profits will not be high. Closed room – Contract 3NT (East) +600 for EW. You played the ace – no swing. You played the queen – 12 IMP.